my love for Trader Joe's everything keeps on expanding every time i go in the store. 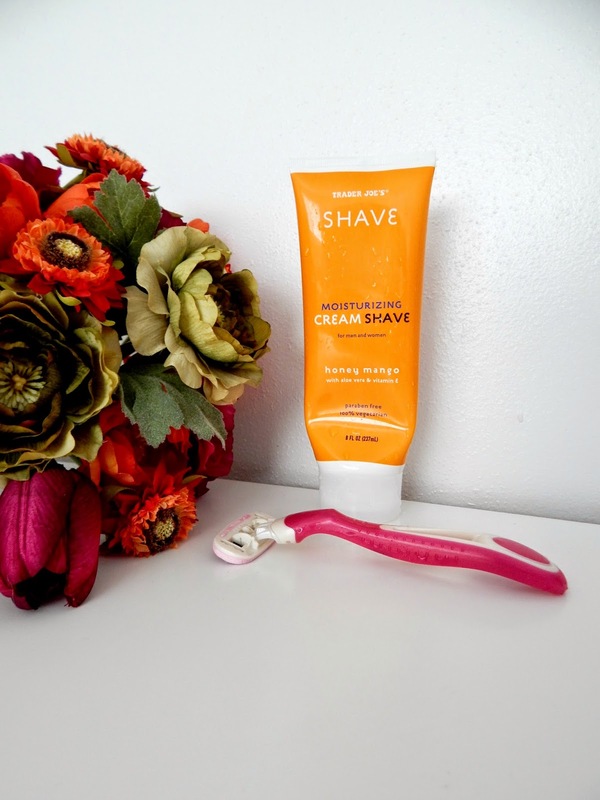 this time it is for their Moisturizing Cream Shave with honey mango. ooohhh this stuff is just amazing! first off, it is not like anything i have every tried as it is in a cream form and not a shaving gel as most are. think of it as the consistency of conditioner for point of reference. it smells delicious as the name suggests but mild as the scent is not over powering. the cream texture helps to lock in moisture so after you shave you are not left with that dry burning feel that immediately has you reaching for the baby oil or worst, witch hazel! it contains aloe vera, vitamin E, lubrication emollients, is free of parabens, and is 100% vegetarian. this rinses off clean from you skin and from the razor. i promise you, it will not disappoint. also, this is for both men and women so share with the man in your life. you may want to pop this into you buggy the next time you find yourself in Trader Joe's.